Virtually clean and a safe community, the Oriental Place Makati has definitely so much more to offer. This high-rise condominium residential development has 35 stories of purely divine residential units and one of the most strategic locations among Federal Land, Inc. (FLI) offered residential condos at the heart of Makati. Set near the Makati Cinema Square, the Italian Embassy, Washington Sycip Park, St. Mary of the Woods School, Don Bosco College, Holy Family Parish, the American Institute for English Proficiency, Office of the Solicitor General, the Asian Institute of Management, Makati Medical Center and the Glorietta Mall, the list of Makati’s famous landmarks near the site is just endless. Not to mention is the proximity of the project from the city’s central business and financial districts as well as those of BGC (Taguig City), nothing can beat this location, really! The Oriental Place is specifically located along Don Chino Roces Ave. corner Javier St. Makati City. Growing families and young professionals alike will certainly have the grandest time staying at this kind of abode where offered units of a 1-BR type has a floor area of 24sqm with an additional 3sqm for corner units , while the 2-BR units have floor area of 48sqm and the 3-BR units has minimum floor area of 96sqm, with balcony allowing residents of the best view of the Makati Skyline and its amazing nightlights. The project’s similarly inspiring amenities are also sure to ignite active living for residents who have no time working-out outside of their home. The site is equipped with a fitness gym with a variety of exercise equipment, a swimming pool, multipurpose hall, jogging path, children’s wading pool, promenade area, water features, pool deck, landscaped podium gardens, gazebos, garden deck, library and reading lounge, car wash area, and high-speed elevators to move people quickly and safely. Oriental Place is also near the MRT-3 Magallanes Station and other avenues where public transport is available 24-hour of any given day. Its easy accessibility to all of the city’s convenience and major destinations is undeniably one of the site’s main selling points. Additionally, living in the project’s elegant units will give you more time with your family than you spend on the road commuting or when you are caught in tremendous traffic jams after a grueling day in the office. As the saying goes, if you live at the Oriental Place, you are probably home by now. The Oriental Place is an Asian inspired high rise residential condominium rising above the grounds of Don Chino Roces Avenue and Javier Street in Makati City. It is a 35 storey vertical housing community that offers more than just an ordinary 4 walled residential space – it offers you a home and beyond that. The Oriental Place is a Federal Land, Inc. (FDI) creation, a new landmark that rises above the heights of Makati Business and Leisure Districts, bringing families above the grounds providing them decent and modern dwellings for an affordably low priced packages. High rise condominiums like The Oriental Place are vertical residential communities offering quiet abode for families who may be needing decent and clean housing facilities outside of the normal polluted ground environment. Experts have justified the need for a safer home above ground levels and for years, human health is one of the most important aspects being referred to by most experts. The Oriental Place by FDI is an answer to that need for a vertical space, an instant hideaway place for families and individuals who want to enjoy the comfort, convenience and security of the place they call home. What makes it unique from the rest of vertical residential communities is its strategic location and the convenience of being in the midst of key business and commercial establishments. Just to mention, MRT 3 Magallanes Station is within an easy reach distance. Other public transport modes are available as well practically round the clock. The Oriental Place, as the name suggests in an Asian-inspired designed condominium offering residential places at very affordable prices. Residential spaces range from 24 square meters to 96 square meters. 1 bedroom unit is general 24 to 27 square meter spaces, 2 bedroom spaces with 48 square meters floor area and 3 bedroom units with 83 to 96 square meters floor area, all units having a balcony of their own for families to have a great venue to view the Makati Skyline at night. The Oriental Place is also packed with resort-inspired amenities and facilities to adapt to a more active and dynamic lifestyle for most metro residents. The Oriental Place is very ideal for growing families who are nurturing small children. This place is also very ideal for young professionals who are currently employed in one of the nearby business districts. 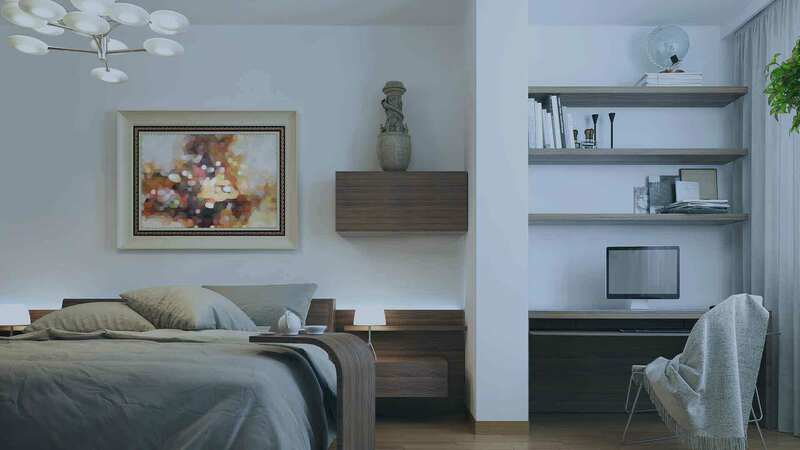 The place is also very ideal for most families who are renting out residential places within Makati and nearby cities. Our team offers Rent to Own (RTO) and Ready for Occupancy (RFO) schemes that might be to your best interest. For Overseas Filipino Workers who want to secure their families future and to have a nice place to retire someday, the Oriental Place is a perfect to go to. Middle class Filipino workers are equally deserving to own a decent place they can call home. Within the bounds of their financial capacity, Oriental Place is has affordable prices that can be easily afforded. Simply give us a call or hit the Live CHAT button below. Our team is on standby 24/7 ready to assist you. The Oriental Place is a perfect convergence of many things: transportation, business and commercial activities, indoor amenities, schools, hospitals and even churches along the area. All these within easy reach distances makes life more convenient for the residents of the Oriental Place. Makati City is also home to top businesses, it is in this city where important commercial and industrial transactions happen. Clearly, your investment at the Oriental Place which is situated right at the heart of the City will bring back good returns for your investments. Trust our name in handling your investments, our years of experience in real estate business will help ensure that you get every penny of your investment back and your business interest is best protected. We are a team of experienced and licensed realtors who have been in this business for a long time. We have a track record in protecting our clients’ interests and justly represent each of them in any forum with full transparency and honesty. Should you decide to inquire from us about the Oriental Place, feel free to contact us at any time most convenient to you. We will be happy to count you in. Federal Land Oriental Place in Makati City, Philippines is a premier Condo project available for sale. If you're looking to rent or purchase Oriental Place, then check here first. We have full details of Oriental Place updated regularly as well as everything you need to know about the availing and booking process, broken down into stages that includes selecting a unit, choosing a payment plan and buying your dream home at the right price. For price list, free site tripping or showroom visit, personalized service, model house, unit plans, floor plans, payment terms, CHAT LIVE with an agent 24x7. We are Remax Perfect Homes. Always only buy from PRC licensed Real Estate Brokers and Agents. Living in a city like Makati is seldom accompanied by calm and peace, here at the Oriental Place, you and your family is guaranteed to have a peaceful environment day in, day out. This project has one of the lowest densities in the area, utmost privacy and exclusivity is guaranteed even at the common amenity areas. A priceless privilege, indeed! The building is also secured 24/7 and has 2 passenger elevators and 1 service elevator, CCTV surveillance cameras to add to security and roving guards maintaining peace and more security. The site has also stand-by generators to assure of non-power outbreak, automatic fire detection and suppression systems and other efficient alarm systems. Every body knows that Makati is the premier financial district of the country and everything standing on its soil is sure to sell. However, the neighborhood of Chino Roces Ave. currently fetch one of the highest real estate prices in line with Ayala Ave. The amount you are going to invest today is sure to rise steeply in the near future. So, what are you waiting for? The gold mine of Makati is now on your hands! Eager to own a piece of Oriental Place but has no ready cash? No problem! FLI has introduced various payment schemes aside from spot cash. With the help of bank financing, you could choose these different options in obtaining a unit at this prestigious property: 50-50 scheme, 30-70 scheme, 20-80 scheme, 10-90 scheme, 10(3)-90 scheme and the 10-15-75 scheme. For details about these payment options, check out this real estate broker’s rundown of instructions.